When encountering a tricky problem, it always pays to play to your strengths. Like a scientist from UCSD who was issued with a traffic ticket for failing to completely stop at a stop sign. His response? A four-page paper describing how the ticket defied the laws of physics. "[M]y argument in the court went as follows: that what he saw would be easily confused by the angle of speed of this hypothetical object that failed to stop at the stop sign. And therefore, what he saw did not properly reflect reality, which was completely different." Uhuh. 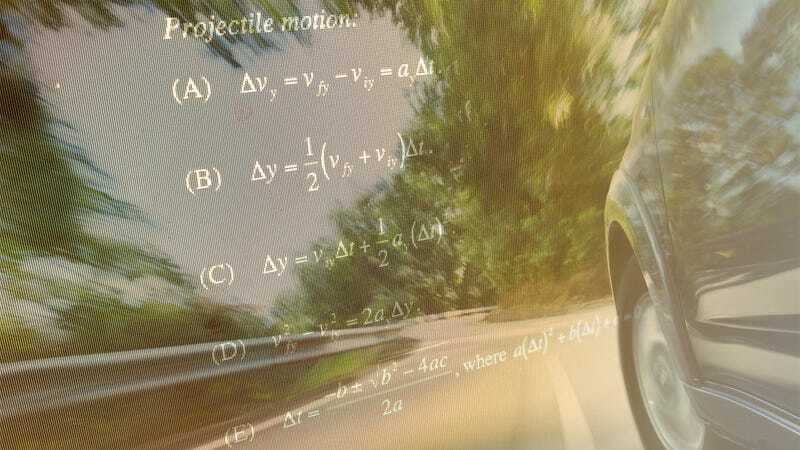 If that needs clearing up, his argument is based on relative velocities: to an observer—like the police officer—the car could appear to be moving at a certain velocity in a particular direction as a result of the observer's position and velocity. If you want to read the full paper, it's here.